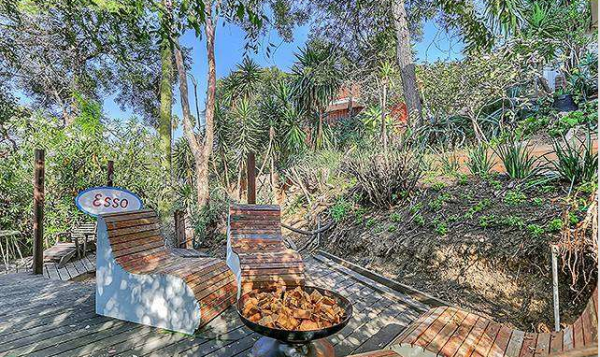 Alright, so this beaut of a California Craftsman is not only on the cusp of Silver Lake/Echo Park, it’s also on the cusp of seven figures with an asking price of $999,000. If this blog were written by a middle-school-aged girl with a spiral notebook (sorry to disappoint), there would be big hearts drawn all around this home. 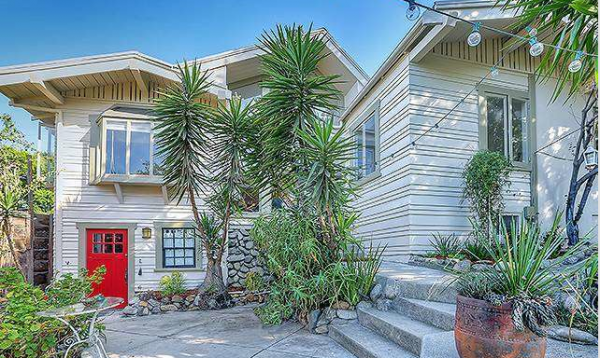 To get the stats out of the way — 1149 Coronado Terrace was built in 1915. At 1,550 sq/ft, it has 2 bedrooms, 1.5 baths along with an office, a bonus room downstairs, and a whole lot of flair. Opening up the crescent moon door (not sure if it was pulled from an outhouse) finds you in the middle of a very large and bright first floor. The living room, family room, kitchen and dining room all connect for great open entertaining. 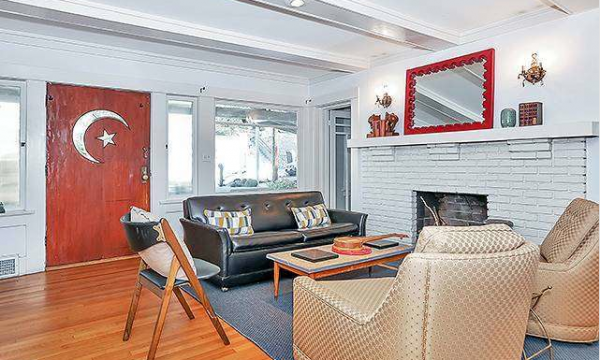 The hardwood floors and much of the detailing are original. The fireplace seen here is double-sided with another one in the office behind the wall. Those regular readers should be aware of how stainless-steel appliances can really add to counter appeal. Well, here is a case where I can fully endorse simple white appliances. 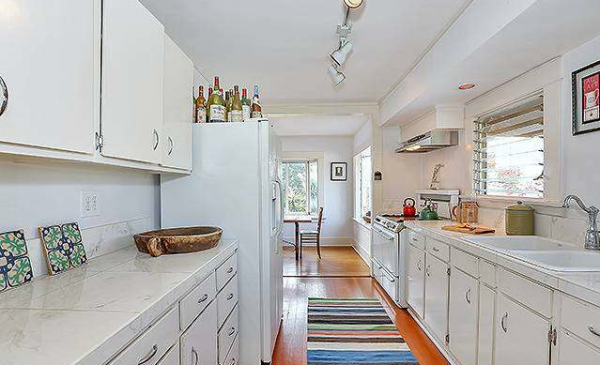 The galley kitchen has original cabinets with older white double oven ranges and it looks incredible. The breakfast nook is very bright with a couple great bay windows (Sorry folks, I can’t put EVERY photo up. Just take my word for it). 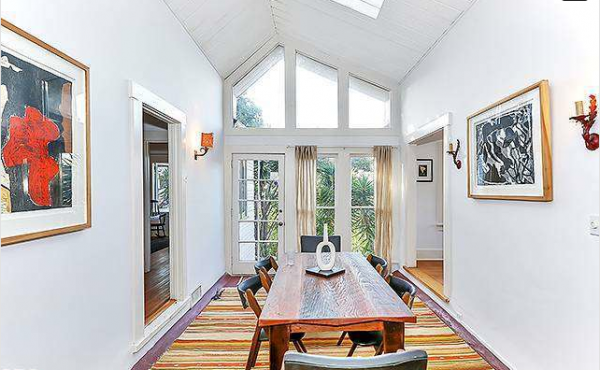 The dining room is simply stunning with a vaulted ceiling, windows that go all the way up, and a skylight. 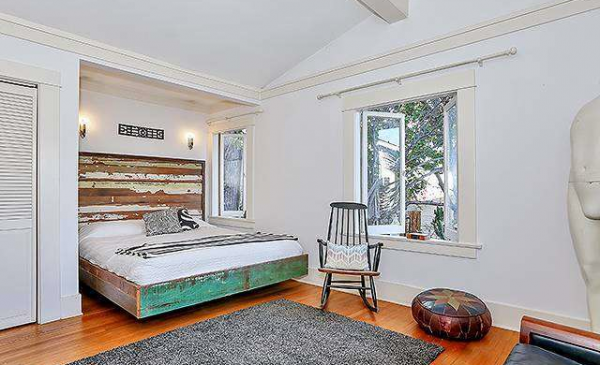 The master bedroom is roomy enough, and I do like how the bed is nicely tucked to the side. The only issue I see is that there is nowhere for a night stand. No night stand means no alarm clock near the bed. No alarm clock near the bed means snoozing is out of the question because you’ll have to get up to turn it off. Or, you could just use your cellphone and stop complaining. 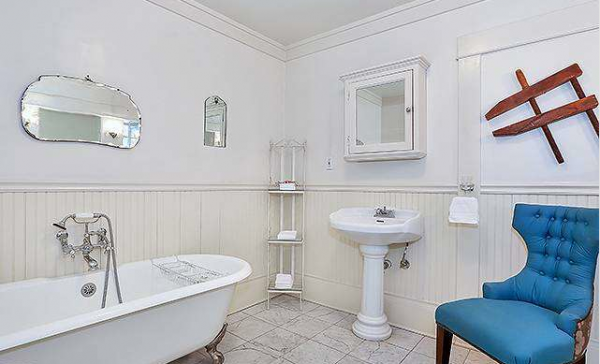 The bathroom is choke full-o-character starting with the claw-footed porcelain bathtub, pedestal sink, and wainscoting. 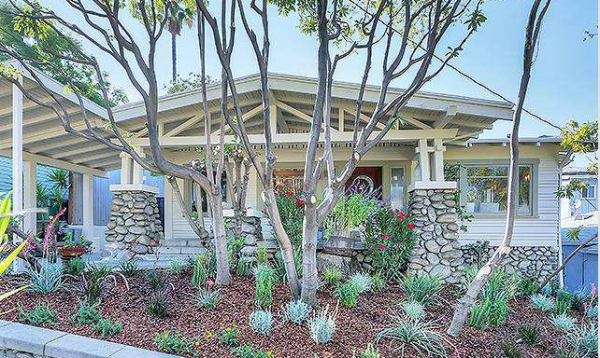 Out back is private and well-maintained with some drought-resistant plants to add some green amongst the cement. The red door is a nice touch. And finally, for a quiet evening roasting s’mores there is a small area for a fire pit. Looks more romantic at night. 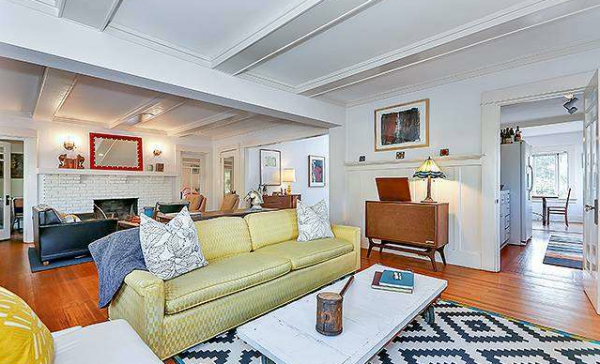 Suzanne Carney of MAISONRE has the listing.